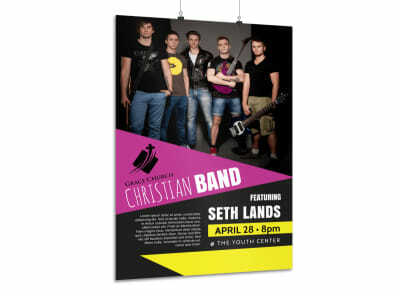 Customize our Church Christian Concert Poster Template and more! 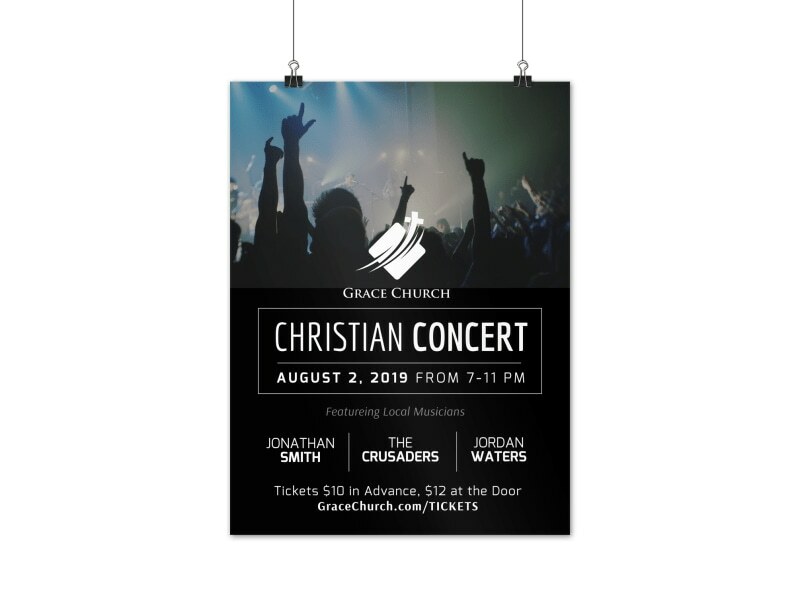 Let concertgoers know about an upcoming Christian concert at your church with this attractive poster you make yourself using our online editor. 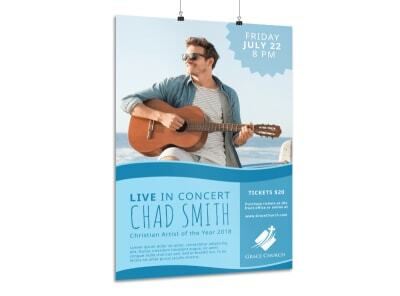 Change up the colors, fonts, images, and other design elements for your poster to give it a look God himself can be proud of. 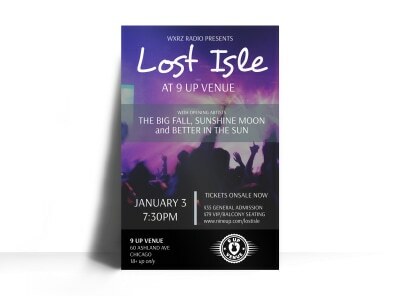 Start your design with a few clicks of your mouse now.